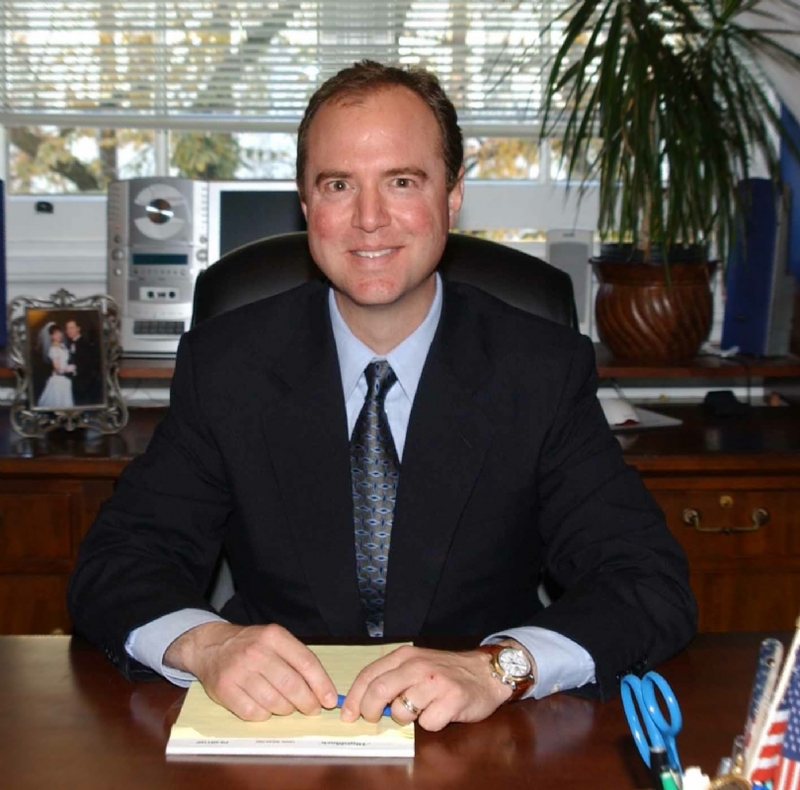 Adam Schiff is a famous Politician from USA, he is 58 years old and still alive, born June 20, 1960. Adam Bennett Schiff (born in Framingham, Massachusetts) is an American Democratic politician. He is a member of the U.S. House of Representatives since 2001. 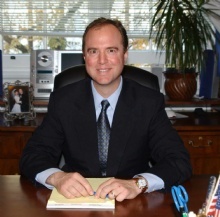 Schiff graduated in 1982 from Stanford University. He received his law degree in 1985 from Harvard Law School. He then worked as a lawyer in California. He was a member of the state senate 1996-2001. Schiff defeated incumbent Congressman James E. Rogan of congressional 2000th He has been re-election four times. He is born under the zodiac gemini, who is known for Communication, Indecision, Inquisitive, Intelligent, Changeable. Our collection contains 29 quotes who is written / told by Adam, under the main topic Power. "While our country has made great strides in breaking down the barriers which for so long denied equal opportunity to all Americans, we are not yet the beautiful symphony of brotherhood of Dr. King's dream"
"The prompt assimilation of that intelligence will be essential if we are to avoid another September 11th"
"Our failure to find weapons of mass destruction in Iraq thus far has been deeply troubling, and our intelligence-gathering process needs thorough and unbiased investigation"
"Neither the University of Michigan nor its law school uses a quota system"
"At the very top state institutions, like UCLA, Berkeley and the University of Texas, however, the trend of downward minority enrollment remains persistent and discouraging"
"It is now conventional wisdom that Americans do not care why we went to war in Iraq, that it is enough that the world is better off without Saddam Hussein"
"If giving points to some students to achieve greater diversity is a quota system in violation of the Constitution, how can the awarding of points to the children of a less diverse alumni be upheld?" "Each year on the anniversary of Martin Luther King Jr.'s birth, America has the opportunity to reflect on our nation's progress towards the realization of his dream"
"Unquestionably, the world is better off without Saddam"
"Although every step must be taken to protect against a chemical or biological attack in America, our nation would survive the use of those weapons as we did when anthrax was mailed to our Capitol and other targets"
"So let us call genocide, genocide. Let us not minimize the deliberate murder of 1.5 million people. Let us have a moral victory that can shine as a light to all nations"
"Americans are blessed with great plenty; we are a generous people and we have a moral obligation to assist those who are suffering from poverty, disease, war and famine"
"Some argue that recognition of the genocide has become even more problematic now, when the world is at war with terrorism and the United States cannot afford to offend the sensibility of our Turkish ally"
"Notwithstanding these setbacks, the dream of a beautiful American orchestra goes on, and I share Dr. King's faith that each year we move inexorably closer to a magnificent opening night"
"But it is equally incontrovertible that if our intelligence gathering process is seriously flawed, we had better find out and find out fast if we are to avoid another Sept. 11"
"An America that inspires hope in its ideals must complement an America that inspires awe in its strength"
"We will not let terrorists change our way of life; we will not live in fear; and we will not undermine the civil liberties that characterize our Democracy"
"Unless action is taken soon - unless we can display the same vision of that earlier period - we will lose the treasure of California's open space and environmental beauty"
"We must either reduce the number of our engagements or increase the number of our troops"
"The new century has brought on its own terrible dangers, which although not reaching the apocalyptic potential of the Cold War, still have the capacity to shake our world"
"The legacy of the Armenian Genocide is woven into the fabric of America"
"Much has changed since the end of the Cold War that augurs well for the survival of our nation"
"Democracies are poor breeding grounds for terrorism and war"
"And in this community, as in all others, the Golden Rule still applies - we must be act toward other nations as we would have them act towards America"
"The war in Iraq has been extremely divisive here at home, and has also divided the world community"
"In fact, the converse is true: At a time when the United States has been called on for a level of moral leadership, vision and inspiration not seen since World War II, we cannot afford to dissemble about crimes against humanity"
"But even race-neutral policies and recruitment efforts designed to achieve greater diversity are, in the end, not race neutral"